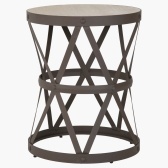 Featuring a unique shape and design, this end table will give a trendy touch to your room. 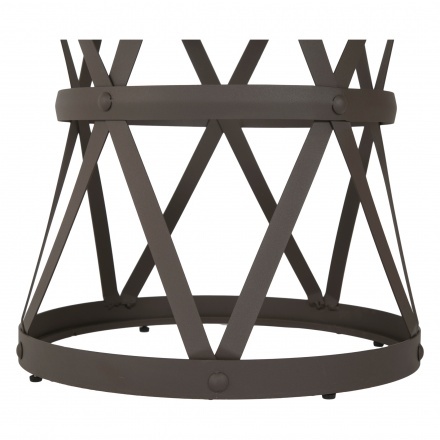 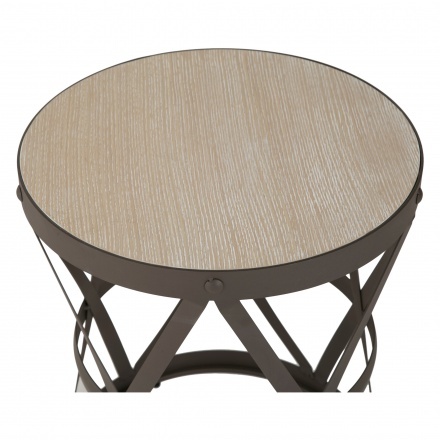 The round shaped table is made of metal and sports a veneer finish. 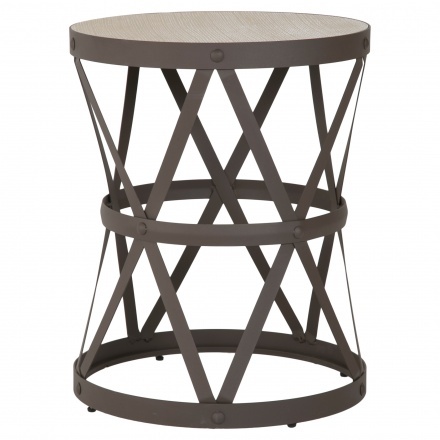 The strong base makes it durable and reliable while the criss-cross pattern on the sides adds to its appeal.